This semester, students in Dr. Mary Beth Pinto’s MKTG 344 Buyer Behavior class will have a unique opportunity to work on a collaborative research project with a leading wireless telecommunications company, and it is all thanks to one of the first classes that Pinto ever taught three decades ago at the University of Maine. Pinto made a strong impression on student Mark Nachman who recalls that Pinto was a “highly engaged” professor who kept her classes fun and relevant. “The things she taught were applicable, not just theory,” he said. So when Nachman, who is now a regional president for Sprint, covering Pennsylvania, Ohio, and West Virginia, was looking for a new regional marketing director, he thought of Pinto, professor of marketing, and connected with her on LinkedIn. Pinto happily supplied Nachman with several leads, and then opened the door on other ways Sprint could get involved at Behrend, including offering internships, participating in a “Corporate Day” at the Black School of Business (where representatives can meet directly with students about internship and career opportunities), and engaging students in doing research work for the company. “I suggested he think about any ways he could put upper-level marketing students to work doing a hands-on project for Sprint,” she said. Nachman didn’t have to think about it for long. He knew that, despite substantial investment in technology and cell towers in the Erie region, Sprint had been struggling to gain market share in the area among its key demographic (18 to 25 year olds), but he didn’t know why. This spring, he’ll have forty-plus MKTG 344 Buyer Behavior students on the case. Students will work in small teams using a variety of marketing strategies, including market analysis, focus groups, personal interviews, and more, to learn more about the perceptions, attitudes, and cell-phone provider preferences among Sprint’s target demographic in the Erie area. Students will also assess current Sprint promotions in the Erie area and, based on the team’s research findings, offer recommendations and develop “guerrilla” marketing plans that can be used to boost Sprint’s profile and users in the region. Guerrilla marketing is an advertising strategy that focuses on low-cost unconventional marketing tactics that yield maximum results. The original term was coined by Jay Conrad Levinson in his 1984 book Guerrilla Advertising. The top six teams will present their work to a team of executives from Sprint in April. Nachman can’t wait to learn what they discover. Nachman has invested both time and money in the project. He and other Sprint executives will be on campus for the kickoff and final presentations and Sprint will be providing each student with Sprint T-shirts and demo phones so that they can be familiar with the company’s products and services. It bears noting that the college-age researchers are themselves in Sprint’s target demographic. Who better to find out what 18-24 year olds think about a company and product than their own friends and peers? The same could be said for Pinto, whose influence on Nachman thirty years ago has clearly led to opportunities for Penn State Behrend students today. Sprint executives will be on campus on January 12 for the class project kickoff and will participate in a “Corporate Day” at the Black School of Business. Sprint representatives will be in the Clark Café to talk with students about internship and job opportunities and, at 4:00 p.m., Nachman will be giving a talk about “Warrior Leadership” in the Black Conference Room at Burke Center. Nachman’s presentation is free and open to all. Eric Frei, a senior Finance major, racked up plenty of frequent flier miles this summer working as an intern for FTI Consulting in Pittsburgh. Every week for three months, Frei flew to either Northern Minnesota or Florida to provide on-site consulting services to FTI clients. We sat down to talk with Frei about his jet-setting summer experience. Is this the first time you interned for this company? How did you obtain the internship? Faculty members passed my resume onto someone at FTI. Was it a paid position? Did you fly out every week? Yes, I either flew to Northern Minnesota or Florida and I stayed for 4 or 5 nights. On the weekends, I flew back to Pittsburgh. What are the kinds of things you assisted the clients with? A lot of the work that I did was confidential but I basically assisted companies that were going through the bankruptcy process. As a college student you were assisting companies going through bankruptcy, that’s pretty impressive. Did you ever think: Wow, I can’t believe I get to do this? At times, yes. It was a great opportunity to be able to learn more than I ever had about bankruptcy and financial consulting work. How do these types of experiences enhance (or bring to life) the lessons you’re learning at Behrend? I was able to apply many of the things I learned in my classes this summer and in previous internships. Now that I’m back at Behrend, I am excited to apply what I learned this summer as well. Which climate did you like better…Florida or Minnesota? Did you have recreation time…to go see the city, etc.? To be honest, I did not have much time at all for recreation. Most days we worked from 8 a.m. to 7 p.m. or so and then went out to dinner as a team. I was surprised at how beautiful the summer was in Northern Minnesota. What’s the most valuable lesson you learned during your experience this summer? To be confident in what you are doing, triple check everything, and content is nothing if it is not presented in the correct way. Did you learn anything that you’ll apply this semester to your classes/projects here at Behrend? Yes, many things. I have set personal goals for my senior year to make myself more a better resource to the company I end up working for after graduation in May. What are you career plans? What do you want to do? I am eager to start my career in corporate finance. Currently I am seeking after corporate finance positions; especially those that are a leadership rotation program. Do you have any advice for incoming students in your major? Work hard, have fun, and truly absorb what you are being taught in the classroom. Jeremy O’Mard ’13 was just ten years old when the planes flew into the twin towers in his hometown of New York City on 9/11. Like millions of other Americans, the event altered the course of his life. He participated in JROTC and Civil Air Patrol while in high school, but after graduation he chose to go to college instead of entering the military. He ended up at Penn State Behrend by accident. O’Mard majored in Management Information Systems, because the blend of technology and business appealed to him. “I liked computers and technology, but I’d always had a business mindset, so MIS really captivated me,” he said. Today, O’Mard, who also earned a minor in Operations and Supply Chain Management, works full time as an Oracle business intelligence developer at IBM in Washington, D.C. He has also found a way to give back. 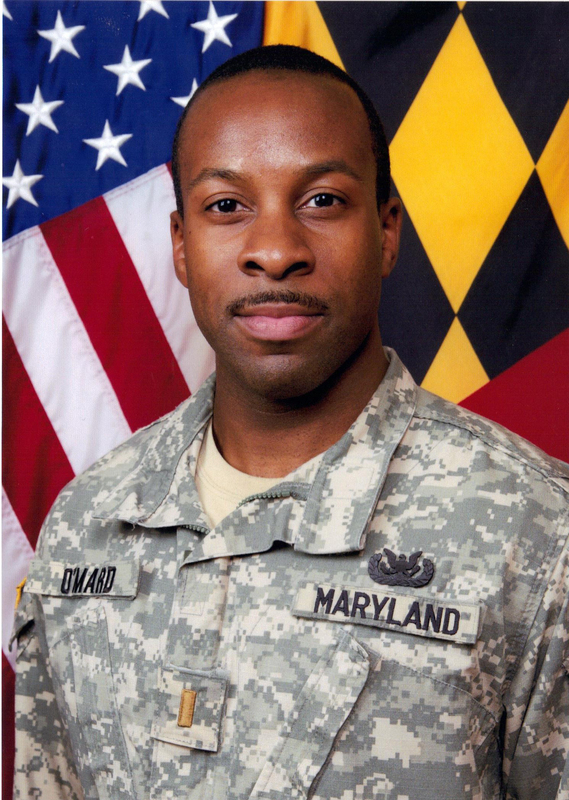 Since his freshman year in college, O’Mard has been a volunteer in the Maryland Defense Force (MDDF), a uniformed military agency established by the state of Maryland to provide professional, technical, and military support to the state’s National Guard and Emergency Management Agency. “When I returned home to Maryland after my first year at Behrend, I was looking around online to see if I could find anything I might do that summer to supplement my MIS major and I stumbled upon the MDDF’s Information Technology unit and saw they needed volunteers,” he said. After initial training, he began helping the MDDF by providing tech support, troubleshooting hardware and software problems, and working on ad hoc problems. His role in the MDDF steadily increased. 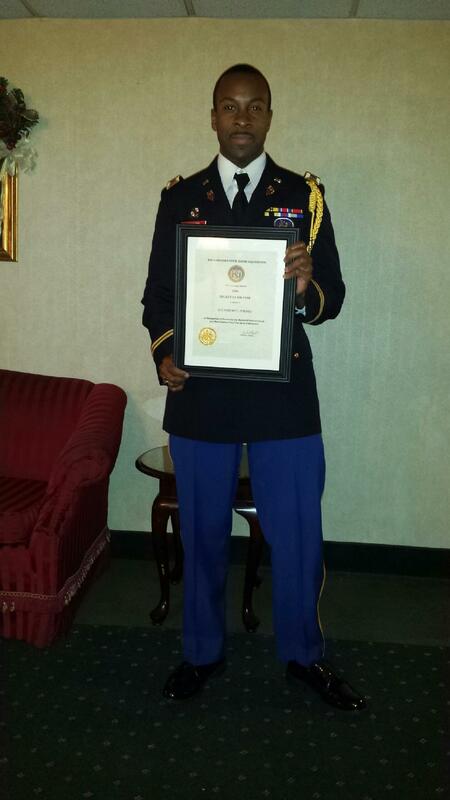 He was a visible member of the MDDF Information Technology team, participated in training sessions and headquarter drills, and served on the honor guard for military funerals. In just four years, O’Mard rose to the rank of 2nd Lieutenant and is now the Commanding General’s aide-de-camp (personal assistant to a person of high rank). He estimates he volunteers about twenty hours a month. His peers and superiors speak highly of him, complimenting his leadership skills, positivity, professionalism, and dedication to the MDDF. O’Mard, who was surprised by the honor, said it was both humbling and inspiring. If O’Mard likes the military life, why not make it his career? He said he enjoys his job at IBM, which offers him myriad opportunities to challenge himself, learn, and advance at the company. Though we humans put a lot of thought and care into planning our future, the simple fact is that life can change on a dime. Single moments, simple choices, and chance meetings can lead us down a different path to a whole new life. Wolfe and Shafer became friends after a fortuitous meeting at a Tennessee Walmart. Shafer happily agreed and even did some work to help stabilize the building, which Wolfe converted to retail space. The two became fast friends as they share a passion for preserving history—Wolfe through artifacts, Shafer through architecture. You may remember Shafer from a story in the January 2013 Behrend Magazine, or you may remember him from the early 2000s when he spent four years at the Black School of Business earning a degree in Business Management. Here’s the foundation of Shafer’s story: The son of custom-home contractor, Shafer grew up around the construction industry and planned to be an architect. Fearing an architecture degree would be too limiting, he went the business route at Behrend, a decision that would serve him well later. He moved to Nashville after graduation to try his hand at a singing career. While his music career blossomed (he served as a backup signer on some impressive concert tours), his business acumen and life-long love for old houses and architecture, led him to begin “rescuing” historic homes in his spare time and he founded Nashville Flipped, a home renovation business. He renovates about a dozen houses a year with the help of a handful of employees and a variety of subcontractors. He does a lot of the work himself, as you’ll see on the pilot episode of Nashville Flipped, where he works with interior designer Alexandra Cirimelli to renovate a 1932 craftsman-style bungalow in East Nashville. Shafer bucks the trend of many developers in East Nashville who buy old properties, tear down the house and build three more in its place. Shafer isn’t afraid of the work. It’s safe to say he loves it. He has a genuine affection for the homes he restores. Shafer is the real deal. He says Wolfe is, too. Together, the two are sure to build a show HGTV viewers will flip for. 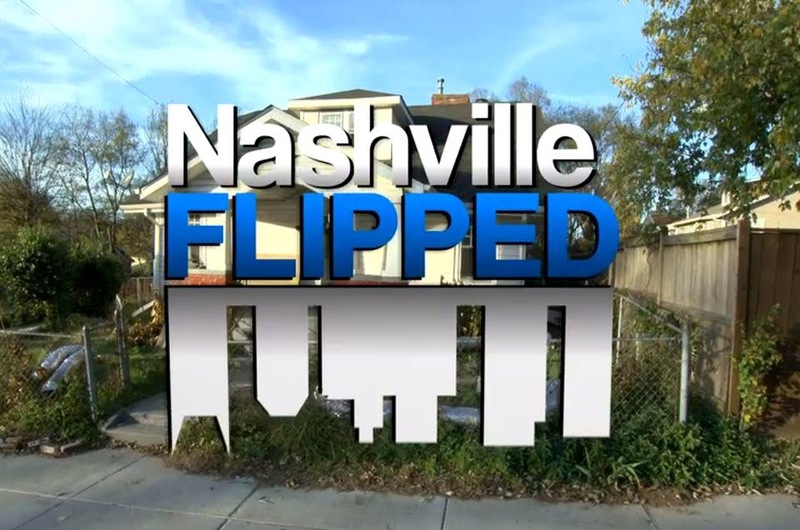 Nashville Flipped will be unlike any other home renovation show because there will be a heavy emphasis on the history of the house, the surrounding neighborhood, and even interviews with past residents. Shafer won’t know until late this summer if the network will order more episodes of Nashville Flipped. Tune in on Thursday at 11 p.m. (EST) on HGTV. Read more about Shafer in a 2013 Behrend Magazine story and an online Q&A here. 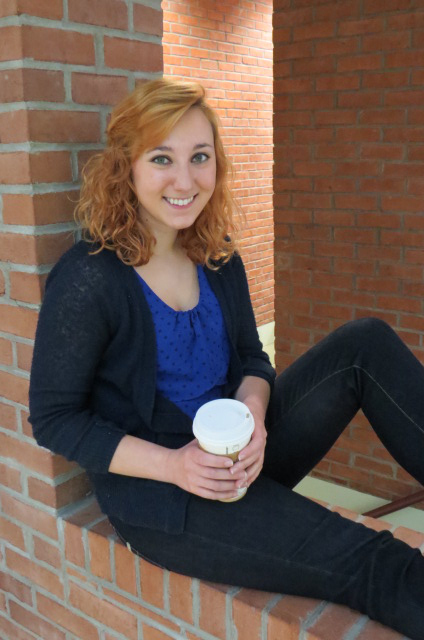 During her time at Behrend Peszel was a member and officer of Alpha Sigma Tau, Omicron Delta Kappa, and Reality Check. She participated in Alternative Spring Break in 2014, wrote for the Behrend Beacon, and was involved with the Lion Entertainment Board for two years. She also served as the lead writing Tutor of the Learning Resource Center where she honed her skills in technical writing. 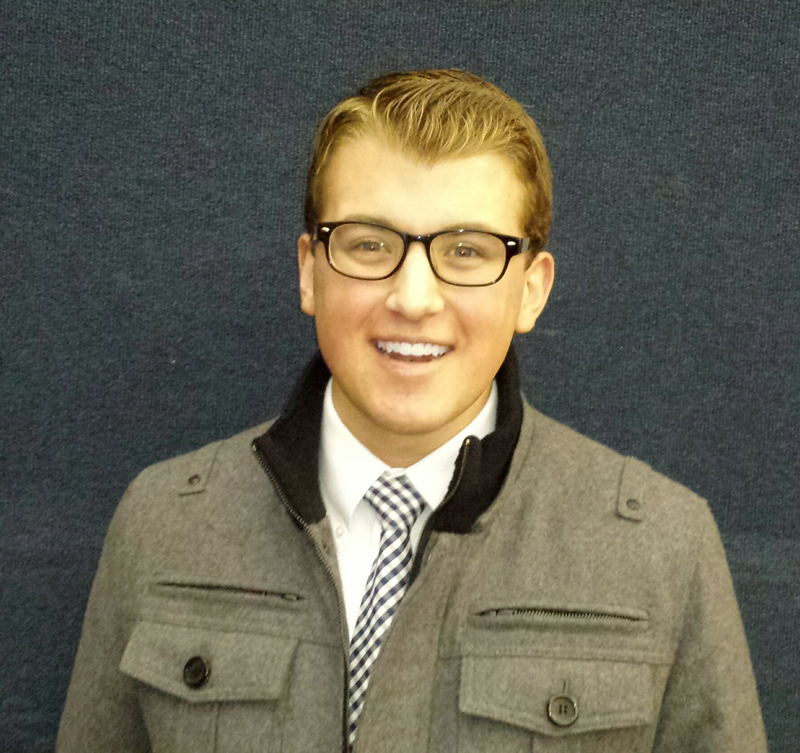 Peszel will graduate on Friday, Dec. 19. She has accepted an MIS position at Erie Insurance.